I really like hummingbirds; they are beautiful and even though they are so small they are fierce little fighters, except when it comes to bees. 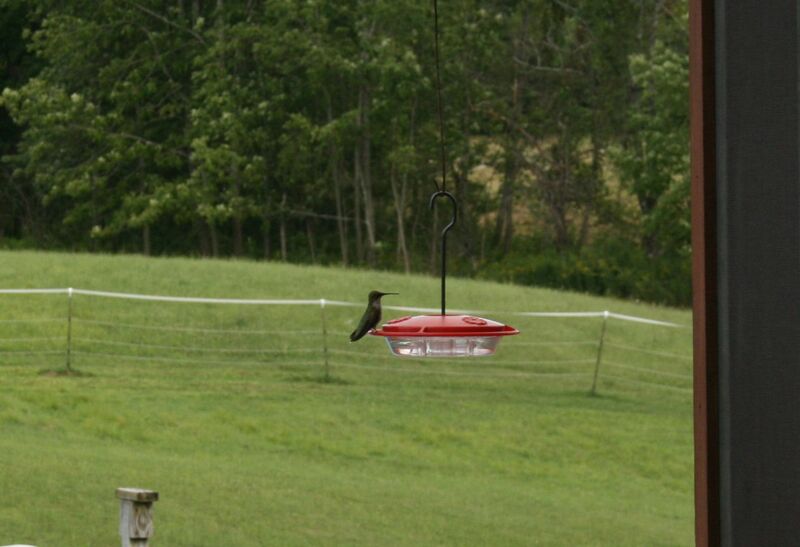 I always feel so bad for the little hummers when I see them being chased away from their feeder by bees. It is amazing to me that they are afraid of the much tinier bees buzzing them. But I guess they are no different than us, most of us folks are afraid of bees too. Who wants to get stung, right? So what can you do to keep the little hummers from being tormented at their juice bar? The best thing to do is start with the right feeder. You can purchase feeders that are bee proof. It is designed so that it is too long of a reach from the top of the feeder to nectar below for the bees to get, but the hummingbirds still can lap it up to their hearts content. They also make bee guard tips, which can be purchased to use on feeders you already have. I have a bottle type feeder that the bees really like, so I will try the bee guard inserts and see if they work. 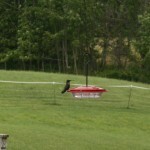 My dish type feeder works pretty well for keeping the bees away and I like it because it is really easy to clean. There are a lot of tips on using oils or insecticide to keep bees away, but most hummingbird sites will advise against this, as it is not good for birds or bees. I’m all for communing with nature and figuring out how we can all live comfortably with each other. If the hummingbirds and bees can figure it out, so can we. Posted by Maryclaire Mayes on Thursday, August 22nd, 2013 at 09:00 and is filed under Observations Of A Different Kind.